Great trip, most amazing memories… I don’t think its something I could ever imagine without your help.. time of our lives…. DO you have the capability of booking Amsterdam/Italy destinations? I just wanted to thank you for everything, Bora Bora was amazing and so was the Four Seasons. Let us know if you ever come across any great deals that are amazing! Theresa, I wanted to tell you how lovely our vacation trip to Maui was and everything went perfectly. My thanks and compliments to you on a great job of planning for us. 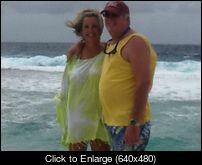 The only hitch was the snorkel trip got cancelled due to high winds, can you check to be sure they credit me back. Without question I will use your services again. Hello Theresa, We are having an amazing time. The wheel chair service in San Diego and Maui was life saving. Great awesome experience took my family to Aulani. Theresa made it happen, everything that was advertised and more she delivered. Can’t wait to book another trip using her services. God bless this woman. I found Theresa a while back but I usually book my own travel. We decided to use her for our Spring Break trip to Oahu and we are so glad we did! She took care of everything! The hotel was amazing, and the flights and car rental were great. It was so nice to not have to worry about anything for a change. Will definitely book our next vacation through her! Thanks! We were able to sit together after everyone boarded. The plane was only half full. The guy beside me moved to an empty row and then Billy moved up. Thanks also for booking the vacation for us. We had a wonderful time and the wedding was absolutely beautiful. Everything went off smoothly. I do have to say that Sandals and Riu do have some differences but overall, the vacation was fabulous. Theresa set up our trip to Bora Bora flawlessly, communicated politely and promptly, and even sent us a digital copy of our itinerary when we realized on the way to the airport that we forgot the hardcopy at home. She also was able to book a good deal at the St Regis resort – in addition to the standard deal (1 night free for every 5 nights of stay), she got us complimentary breakfasts and dinners for the duration of our stay (meals are extremely expensive in Bora Bora so this was a substantial savings). 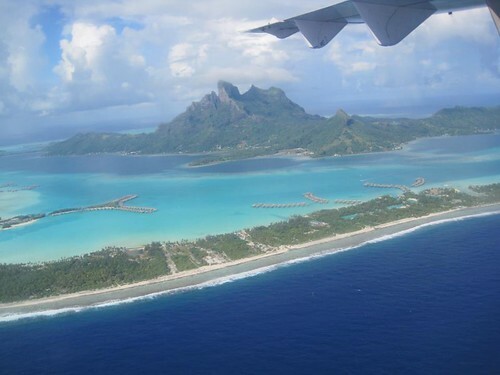 Finally, when reconfirming our return transfer from Bora Bora to Tahiti, she was able to book us on a later transfer, giving us additional time at the resort and shortening our layover in Papeete. Overall, a great experience. Theresa has been wonderful. She booked my hotel, flights, and car. Got me a great deal. She booked me a day before I even paid her! She sent my itinerary before I paid her! Sent me entertainment options and info. She was informative and nice every time I spoke with her. Appreciate the superior customer service. I will use her moving forward! Just an update: we just completed our Hawaiian vacation. Everything was fantastic and as promised! Theresa had welcome messages and booked extras for us that were just enhanced our total experience. I highly recommend! We found Theresa online. My fiance (now husband) called her to speak with her directly. She was very nice, very accommodating on the phone. So we took a leap of faith and sent in our deposit for our once in a lifetime Honeymoon trip to Tahiti where she booked us into the Hilton Moorea (over-the-water bungalow) for 7 nights and final two nights at a nice oceanfront resort in Papeete (so we would be close to the airport). Any questions we had, we just emailed her and she replied immediately. We just returned from our trip, and everything was perfect. About 10-14 days before our departure date we received our travel documents, nicely packaged, with all our flight and hotel info, and all the vouchers we needed for transport to and from our various destinations. It was great to arrive at Papeete Airport and have someone holding up a sign with our names on it (correctly spelled too! Our vacation at Disney Aulani was SUPER AMAZING!! Thank you from the bottom of our hearts. What a blast we had!! You’re awesome deal meant that we could go all out with whatever we felt like doing/eating/drinking. We made some amazing memories and you made it happen! Thank you!!! Theresa you are the best. I cannot tell you how much I appreciate you and all you do for me and my fantastic trips. Where can I write a review for you so other prospective clients know how amazing you are? Bora Bora that I heard is even better than Moorea. She was awesome for our travel.Everything went very smooth. Got a great deal on a great Mexican vacation. Will definitely use her again!! Thanks!!! difficult to get from Moorea to Papeete and then to the airport in one day. We are headed home today from Maui. Beautiful vacation. will touch base when we get settled regarding our next travels. St Regis pictures on Facebook, nighttime at the bungalow, outside my over water bungalow, reef diving ,feeding the fishies! jeep safari, the lagoonarium, bloody mary’s, and a helicopter tour. packages for Dec Jan 1, , we may have interest..
is interested… I’ll be sharing your contact info. Molokai instead.Spectacular.Can’t wait to receive the video! the westin was awesome. Unlike any hotel i have been to as far a service. if you had an issue, they fixed it. it was nice. our airline gave us one free bag each. Lolly and I returned yesterday morning from our trip. fact, our cheap seats were about the same as economy plus on United. better than what we got on AF. apparent total lack of security!). was the best beach bungalow of them all. It was well appointed, too. compared with the units around us. Not a big deal, but noticeable. standards. Another complaint is the absurd pricing of internet access. those the hotel did not deliver. deck. A magical event in a magical setting. anyone who appreciates good food. problem. Made life much simpler. absolutely count us a satisfied customers. without airfare, and stated you can still get credit for the booking. Thanks again and have a great holiday. Honeymoon!!! It is Paradise !!!! Thank You again — with Blair Minton. WOW WHAT A WONDERFUL WONDERFUL trip at the Grand caribe! wait to tell you about it & send some pics. MOST beautiful place on earth! We could not have done it without you! was that American Airline delayed my most important bag for 3 days. the beach wasn’t crowded at all. The jeep was perfect – Brian loved it. To Teresa, our tour guide and to our friends on the mainland. Thanks Teresa for the wine and snacks. That was a wonderful treat as we arrived here on island #6.
daily, but thankfully, none of our excursions were negatively effected. lava from 1/4 mile away at night. crew and Brenda and I both went to the Luau with our Memphis friends. there was disappointed. The glass bottom boat was fair to poor. with the fish, which we’d already done once. colorful scraps on my head. Memphis time) against #17 Michigan. the meals were great for airline food and the service was excellent. We were told that we were there at the slowest time of the year. Thank you again for everything..
excursion we took from the resort that was well worth the ticket price). We met some really great new friends that we plan to travel with next year. Thanks again! time. The Gran Caribe hotel is excellent and we would use it again. Thanks for your help and we will be in touch again. I recommend Cancun, lovely people and great vacaion spot. Hey! Theresa wanted to thank you for offering the trip to Jamaica. family. Excellent. I hope to do Biz with you again very soon. 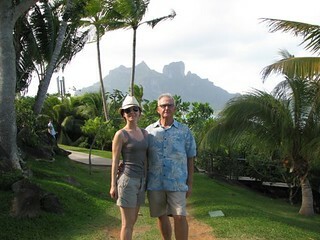 wife and I had a fantastic time in Bora Bora. Bungalow was amazing. beautiful resort with awesome staff. Highly recommend it at Sandals Whitehouse! again and we will be talking once again in the future! there was an issue financial or logistical it was addressed promptly. emails. They are all law enforcement or military friends. We got back safely and had a GREAT time. 5 times and couldn’t find the switch to turn the light off over the bed. Le Taha’a’s OWB was just as we had seen on tv, fabulous! do 2 dives at Bora Bora too. us all around the island which lasted 6 hours. our energy seemed to disappear quickly so we missed touring the island. The only bad part of the trip was the long flights. everything. You didn’t forget anything! the water Villa with a pool. WOW we got a thumbs up from God every day!!! would walk by. Everyone was so friendly..
that was always an exceptional experience. drink were great. (I will get to the service further down). something we had never seen. We swam with the fish three times during our stay. in charge treated us with respect and was very friendly. only left to go to the Hilton and once to the main island. how difficult it can be to meet and exceed expectations of demanding customers. However you did it!! Now I would like to recognize those who stood out..
home. His comrades did as well. are born with it. Give him a dark BLUE shirt. way to take care of us..
coments in no way demean our over all amazing experience. thing tarnish the experience you provide. guests the opportunity to pre stock there room with drinks and snacks. team; “We are a team our success or failure lies on all of our shoulders. Theresa has lined up a number of vacations for us in the past few years. bags other than your lap. The trip to the resort was two hours long. vacation together and I felt very responsible because I booked it). We did some sailing and thoroughly enjoyed it. the time laying around because we needed the rest. then have to make a concessions stop. If you have some vacation deals that come up for next December or January, please let me know. just listed.So they have you by the cojones either way. after a few days of exposure. to thank you so much for booking our wonderful family vacation in Kona. next year we will have to extend our vacation because it was too short. amazing time here at the Hapuna. lei’s, made them feel so welcome – high energy and very accommodating. I have every expectation that their return transport to the airport will go just as smoothly. shoppers….yet, your price was unmatched! We will certainly call you again when the Islands call to us again. comfortable place to relax and base our adventures from. We have had a truly wonderful time and are not wanting to get on the flight headed home. Thanks so much for all of your help!!! morning! Also had absolutely no complaints about Royal Lahina in Maui. mahi mahi. Was great! Ate at Mama’s Fish House and it was outstanding. nice and quiet there as opposed to Waikiki. Great place and sooooo glad we went. Thanks for booking us an unforgettable vacation. 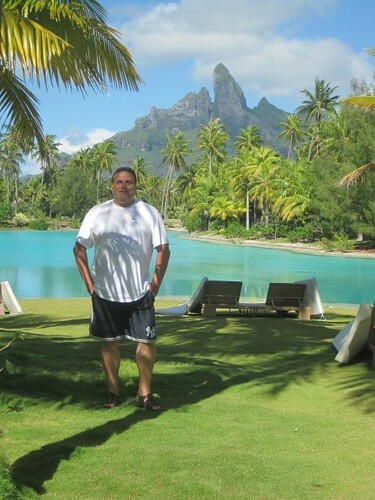 Hawaii but that Bora Bora deal has my attention….Hope all is well. Just wanted to drop you a note thanking you for the best Hawaiian vacation packages ever! now with Kaanapali, Maui area our favorite spot by far. the tower that is situated against the Black Rock Cliff. attentive. Recreation was limited to our stamina and time. From from our balconies we watched Whales, Porpoises and Sea Turtles along with cruze ships, and small craft every day! All of which occurred right outside our balcony. Wow! EXTREMELY PLEASED WITH OUR STAY AND ALL OF THERESA’S PLANNING FOR US!!! on the lava rock from inside. Very, very nice and relaxing place. whatever with you and meet you face to face. Theresa, things worked out great at Four Seasons, had a great trip, and time. The connections worked out, and thank you. 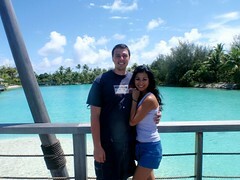 I just wanted to let you know we had a wonderful time on Bora Bora. That island and the resort is everythting I ever imagined and more. We had plenty of rain and sunshine as well. came back all tan and well rested. for all of your island travels! Excellent job. We had a blast ! 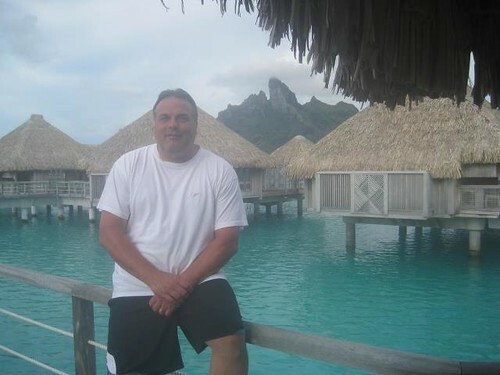 The only thing I would have changed is to stay at the intercontinental in Tahiti; otherwise it was perfect. We look forward to staying in touch and please keep me on your promotional email list. Thank you Theresa!! We had a fantastic time. You made everything so easy. Transfers were easy, hotel was gorgeous!! home. Everything was beautiful, caught a wahoo, but no marlin fishing. restaurant (mosting preparation issues-overcooked chicken and fish). facilities were great, and rewarding after our trip there. I have referred you to several friends of ours. amazing. What took AAA to find us information on took Theresa 24 hours. most enjoyable trip. Again, thank you very much. Winners will be allowed to use coupon within 10 days.